Most nanny employers have heard about the “nanny tax” from friends and colleagues who’ve hired a nanny. Unfortunately the information is usually vague and doesn’t give employers any real help in understanding or dealing with their nanny taxes. 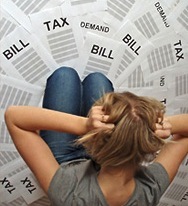 Check out these sites for the information you need to get through the maze of nanny taxes. So what exactly is the nanny tax? It’s important to understand your responsibilities as a nanny employer and have a clear picture of the taxes you are required to pay by law. Do You Owe Nanny Taxes? Not all parents that employ a nanny have to pay the nanny tax. There are limitations that exclude some caregivers. Knowing the limitations before you hire your nanny will help you start off on the right foot from day one. Is your nanny an employee or an independent contractor? This is one of the most common questions nanny employers have. The IRS is stepping up enforcement on misclassification of workers so it’s essential you’re clear about what role your nanny fills. All nannies have certain rights under the Fair Labor Standards Act, which is a federal law. Many nannies have additional rights under state laws. Take the time to understand what your nanny is entitled to so that you ensure you’re offering a legal wage and work environment. No one likes doing paperwork, especially the tax kind. Unfortunately nanny employers have a fair amount of paperwork to keep up with when it comes to filing their nanny taxes properly. Remember there are forms that need to be filed with the federal government, your state, and possibly your local government too. Thinking it’s all too complicated for you to bother with? There are many dangers that come with not paying your nanny taxes. With the recent rise in Domestic Workers Rights bills being introduced in several states, there’s more scrutiny on nanny employers by caregivers and government agencies. Nanny taxes can be a hassle, but they’re a necessary part of being a nanny employer. Paying your taxes will not only help your nanny be more financially secure, it will keep you out of hot water with the IRS.